Growing Your Hair, Recovering and Covering Hair Loss after Chemo. Life can be tough sometimes, but this is what makes us stronger individuals! Our team at AiryHair would like to wish you the very best of health! Also, more importantly, congratulate for taking the right step and plowing thought the chemotherapy. Now, while the most positive side effect is obviously the elimination of cancer and the gift of life, chemo comes with one side effect: hair loss. While there are multiple hair fusion methods, only few of them are suited for the short hairs or no hairs at all. Below, you will find our recommendations for all of them. You can either just be patient or go with one of the many wigs. There is no other way around that. Itchy, irritated scalp and frizzy hair are only few of the many downsides that can be avoided simply by spending few bucks more. What you should avoid as well is a 360* degree wig since it covers the sides only. In other words, the center of your head will still be with little to no hair. I know that at this point you are anxious and want to go with hair extensions as soon as possible, but please be patient. If you have had cancer and have gone through chemotherapy, AiryHair commends you for your bravery and supports you during this time. Hair loss is an unfortunate side effect of fighting cancer. The good news is that there are gorgeous wigs for cancer patients. Since our wigs are made from real-human hair, no one will see the difference. You can instantly gain length and volume, so you can feel more like yourself as you heal. Wigs offer a variety of lengths, colors, textures and density to choose from. You may be able to finally try the style you always dreamed of having. Are you new to wigs? No worries! Let’s learn how to find the best human hair wigs for cancer patients, how to apply them, and how to take care of them so they last up to a year. 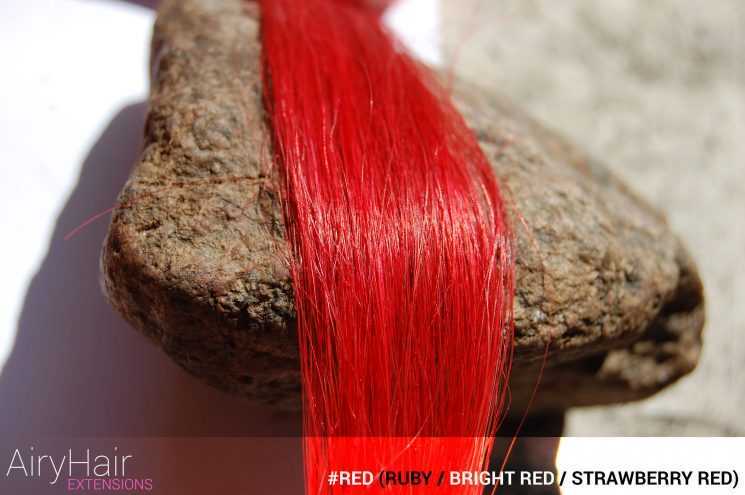 With any type of wig, real-human hair is going to look and feel the most natural. Expertly constructed wigs are so natural-looking, other people may not be able to tell the difference. For wigs for cancer patients, a full lace wig is the recommended style. This is because with this type of wig, the entire wig cap is constructed of lace, and real-human hair strands are manually applied throughout the cap. This enables the wearer to style their hair however they want. Unlike wig types like 360-degree frontal lace wigs or lace front wigs which may restrict placement of hair parting or how you can wear your hair. A full lace wig is the top-quality wig for cancer patients. Whichever wig you choose, avoid synthetic wigs. This is because the “hair” strand quality is of much lower quality and much less natural-looking. For cancer patients who want to achieve a natural look that is perfect for everyday wear, real human hair full lace wigs are a great option. Applying a full lace wig is a simple process. You can do it yourself at home or work with a friend or hair care professional for help. First, wash your scalp with soap and water so it is free from oil and dirt before you attach the wig. You can use a scalp protector to protect your skin as you apply adhesive. Also, it decreases skin oil development, so your wig stays secure. If you apply scalp protector, wait 15 minutes before applying the full lace wig. Use liquid adhesive to apply on your scalp, where the edges of the wig will be attached. Use a small amount. Fan the adhesive with cool air for about 30 seconds to slightly dry it. You want it to be tacky but not too dry or too moist. Apply some adhesive to the edges of the wig, as well. Apply the wig onto the adhesive on your forehead first. Hold it in place for about two minutes with both hands. Move the wig over the sides of your head and attach it to the adhesive with the same process. Finally, press the remainder of the wig onto the back of your head. Again, hold the wig in place for a couple of minutes over the adhesive. You can use a blow dryer to set the adhesive once you’ve secured the wig. Use rubbing alcohol to clean up excess adhesive. Applying a lace wig this way can make your wig last at least a couple weeks without having to touch up the adhesive. Every two to three weeks, you’ll want to touch up the adhesive with a reapplication process. A full lace wig can stay in pristine condition for up to a year with proper wig care. If you plan on wearing the same wig for a while, you might want to get a wig stand that you can put the wig on when you’re not wearing it. If you need to store your wig elsewhere, put it in a dry, cool place, away from heat or sunlight. Wash your wig when you notice it is greasy. When washing your wig, use natural hair care products and a mild shampoo. Use a leave-in conditioner to keep strands extra soft. Apply a detangler. You can find natural hair care products that have been specifically created for wigs. Regularly and gently brush your wig to prevent tangles. If you use hot tools on your wig, use a hot tool protector. Reduce the use of hot tools, including a blow dryer! This is a recommended way because you can damage to the strands over time. Your dignity and self-worth are valuable! Wearing a wig can help restore a sense of wholeness when you’ve lost your hair. The world of wigs is fun and exciting! In addition to that, wearing them may even lead you to discover a whole new stylish side of yourself that you fall in love with. Have questions about wigs for cancer patients? Drop us a line any time. After you have grown at least two inches (5 centimeters) of hair (three to four inches is preferred), it is time to consider hair extensions. 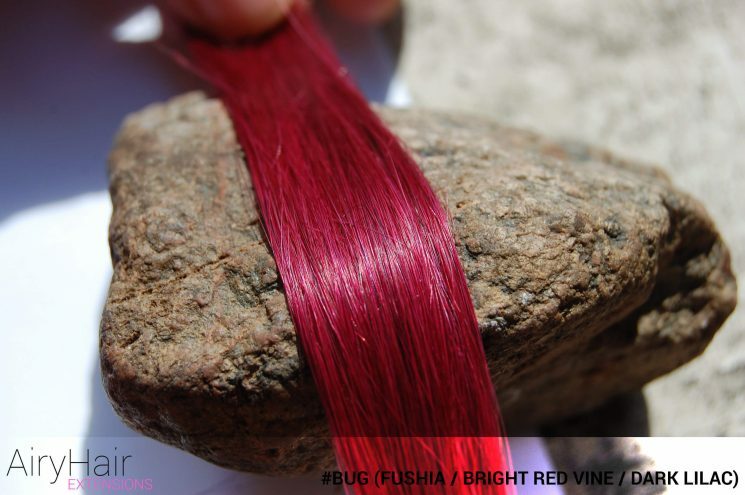 What you should avoid is hot fusion hair extensions. Basically, they can put too much stress on your scalp while the hair is still in the early stages of growth. What’s worse, if your hair is still too short and your hair dresser decides to fuse them anyway, you might need to not only remove the extensions but also a small portion of your hair. Okay, so what is the recommendation? Personally, we would go with transparent tape ins. The reason is simple: it has invisible tape, which means that the extensions will be harder to notice. More importantly, you can cut them into as many or few pieces as you would like. It is honestly one of the most versatile options not only for cancer patients but every single woman out there! In addition to that, since the extensions need to be readjusted every 4-8 weeks or so (since your hair grows), you will be able to remove the tape and re-apply in just minutes. Just get the extra tape. Avoid insane hair dresser costs and save time. Having said all that, we would love to offer you a special discount of 10% for trying our Remy premium plus hair extensions. Simply place the order and contact us afterwards. We will issue you a partial refund post order in a form of 10%! You can spend on ice cream, or any other thing in the world. The last tip? Don’t go overboard with 30-inch, double drawn hair, give it some time. Sixteen to twenty inches is what we would suggest for the first 3 to 6 months. If you would like to show your support for the breast cancer awareness or just like girly colors in general, then pink hair extensions are for you! According to various studies, pink color does calm you, reduces the feelings of anger and better aligns you emotionally. In addition to that, people with pink hair are perceived as loving and nurturing, which is also attractive for men. Here’s what colors we have in stock! So, your next question should be: where can you buy some pink hair extensions to support breast cancer awareness or just because? Well, worry no more as here at Airy Hair we are more than happy to satisfy our customer needs. In addition to that, we not only have pink, but also red, blue, fushia, purple and other crazy colors! Forget about Facebook posts with grapes, olives, raisins and cherries, these are getting old. The new best thing is pink hair, which will give you a lot of attention and aware people about your cause! 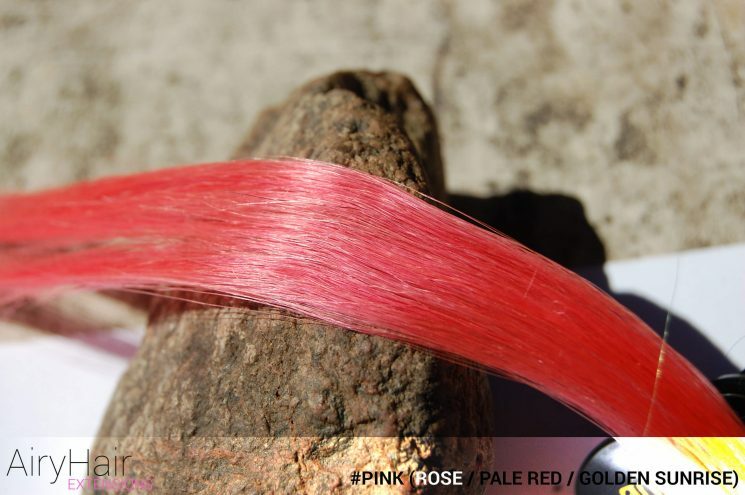 Click here to view our tape in pink hair extensions or choose from other types of hair, like clip in, wefts and more!